On Wednesday, December 19, 2018, at approximately 5:02 p.m., officers were dispatched to the intersection of Chantz Dr. and Stan Schlueter Lp. in reference to crash. Upon their arrival officers located three vehicles in the roadway. Drivers of two of the vehicles were still on scene and were subsequently transported to Baylor Scott & White Hospital, in Temple, with what appeared to be serious injuries. The driver of the third vehicle fled the scene on foot prior to officer’s arrival. Preliminary investigation revealed that the driver of the third vehicle had caused the crash by failing to yield right of way exiting a private drive, and subsequently fled the scene, failing to stop and render aid. Follow-up investigation was able to Identify the driver of the third vehicle as Larry Pervin Kidd Jr. B/M, D.O.B. 09-02-1995 and a warrant for Kidd’s arrest has been issued for Failure to Stop and Render Aid for a Crash resulting in Serious Bodily Injury. The Killeen Police Department Traffic Unit is asking anyone who has information about the suspect’s whereabouts to contact Crime Stoppers at 254- 526- TIPS (8477) or go online at www.bellcountycrimestoppers.com. You can also give an anonymous tip by downloading the P3tips app for IOS and Android. All information is confidential and if your tip leads to the arrest of the person(s) responsible for this Hit and Run, you could be eligible for a reward up to $1,000 in cash. Never attempt to apprehend a wanted suspect yourself as the potential for violence always exists. Killeen Police investigate vehicle / pedestrian crash on IH 14. On Thursday, December 20, 2018, at approximately 7:36 p.m., officers were dispatched to eastbound Interstate 14 between Trimmier and WS Young in reference to crash involving a vehicle versus pedestrian. Upon arrival, officers located a 38 year old black female, later identified as Sherrika Abrams, lying motionless on the interstate. Killeen EMS was contacted, responded to the scene, and subsequently transported Abrams to Seton Hospital. Abrams succumbed to her injuries at Seton Hospital and was pronounced deceased at 8:26PM by Dr. Egan at Seton. Justice of the Peace Claudia Brown responded to Seton Hospital, confirmed Abrams time of death, and ordered an autopsy to be conducted by the Southwestern Institute of Forensic Sciences in Dallas. The preliminary investigation by the Killeen Police Traffic Unit revealed that Abrams had left the area near the Trimmier CVS pharmacy parking lot, and began walking northbound toward IH 14. Abrams apparently walked across three lanes of traffic prior to her being struck when she failed to yield right of way to a 2016 Toyota Tacoma that was traveling eastbound in the inside lane of IH 14. The operator of the Toyota was not injured and stopped to provide the proper information and assistance. No charges are pending. On 8/18/18 the Killeen Police Department responded to the 800 block of Attas in reference to a death investigation. At that time, an unidentified decomposing body was found in a vacant property, and KPD initiated a death investigation. An autopsy was conducted at the Southwest Institute of Forensic Sciences and the findings were returned this week indicating that the victim was a 40 to 50 year old white female who was the victim of a Homicide. The investigation is ongoing to determine an identity of the victim, as well as the circumstances of her death. On 12/19/18 at approximately 2:15 PM officers were dispatched to the Shorty’s convenience store located at 908 Terrace Dr. in reference to an Aggravated Robbery. Upon their arrival the victim told officers that a white male wearing a suit, armed with a handgun, came into the store and stole a quantity of currency. The suspect, later identified as Dan Freeman, had fled prior to police arrival, but was later located by officers and taken into custody. On Friday, December 21, 2018, the Bell County District Attorney’s Office reviewed this case and returned a complaint charging 18 year-old Tommy Dan Freeman of Killeen with Robbery at the Shorty’s Convenience Store, at 908 Terrace Dr. Justice of the Peace Claudia Brown arraigned Tommy Dan Freeman and set his bond at $70,000. On Thursday, December 13, 2018, at approximately 8:20 p.m., officers were dispatched to the 400 block of W. Rancier Avenue in reference to crash involving a pedestrian. Upon arrival, officers located a female lying in the roadway. The preliminary investigation revealed that the female was walking southbound across Rancier Avenue when she was struck by a gray Saab that was traveling westbound in the inside lane on Rancier Avenue. Witnesses told officers that a second vehicle, a gray four door sedan, possibly a Kia, was traveling westbound also in the inside lane, struck the victim as she laid in the roadway. The suspect vehicle subsequently fled the scene. The victim was transported to Baylor Scott & White Medical Center in Temple in critical condition. The Killeen Police Department Traffic Unit is asking anyone who has information about the suspect vehicle involved in this Hit and Run crash to contact Crime Stoppers at 254- 526- TIPS (8477) or go online at www.bellcountycrimestoppers.com. You can also give an anonymous tip by downloading the P3tips app for IOS and Android. All information is confidential and if your tip leads to the arrest of the person(s) responsible for this Hit and Run, you could be eligible for a reward up to $1,000 in cash. The Killeen Police Department Traffic Unit continues to investigate this Hit and Run and the circumstances surrounding it. Information will be released as it becomes available. The Killeen Police Department would like to inform the community that we are aware of emails that have been circulating nationwide, including Texas and the Killeen area today. The message contains a bomb threat and a demand of payment via bitcoin. We are in contact with our local, state and federal partners, and have been informed that the threats are being investigated and do NOT appear to be credible at this time. 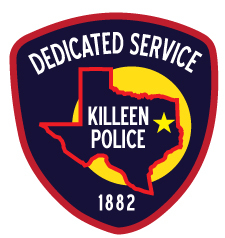 Killeen Police will investigate any credible threat and/or suspicious activity. We ask everyone to be vigilant and immediately call 9-1-1 to report any suspicious activity which could represent a threat to our community. During this investigation, detectives have identified three persons responsible for this Homicide. On Wednesday, December 5, 2018, the Bell County District Attorney’s Office issued complaints charging, 31 year-old Talitha Marieanne Collins, 21 year-old Justice Dinell Jamar Brue-Miller and 28 year-old Derek Gregory Spragins, with Murder. Justice of the Peace Bill Cooke issued warrants for all three suspects. Collins was already in the Killeen City Jail and her bond was set at $1,000,000. On Thursday, December 6, 2018, Brue-Miller and Spragins were arrested with the assistance of the United States Marshals Service and Temple Police Department. They were transported to the Killeen City Jail and are awaiting arraignment. Killeen Police Investigate Homicide on Root Avenue. On Monday, December 3, 2018, at approximately 8:55 p.m., officers responded to the 400 block of Root Avenue in reference to a shots fired disturbance. Upon the officers’ arrival they located a black male victim suffering from a gunshot wound; he was unconscious and not breathing. Justice of the Peace Claudia Brown pronounced 21 year-old Marquis Demps deceased at approximately 9:36 p.m. She ordered an autopsy to be performed at the Southwestern Institute of Forensic Sciences in Dallas.